U15 Senior Division - All boys in grades 7 & 8. Travel Team emphasizing stick skills and preparation for high school play. Introduction of full size defensive sticks. Contact play. U13 Junior Division - All boys in grades 5 & 6. Travel Team emphasizing instruction and skill building. Introduction of longer defensive sticks, limited to 60 inches called "Tiger Poles". Contact Play. U11 Lightning Division - All boys in grades 3 & 4. Travel Team emphasizing instruction and skill building. 8 on 8 on a reduced size field. Non-Contact. U9 Bantam Division - All boys in grade 2 and 1st graders with a coaching commitment. 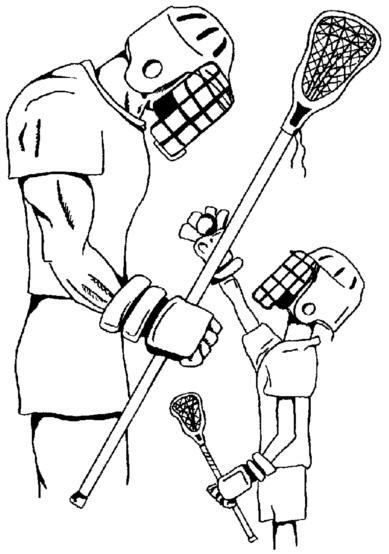 This is an instructional level to introduce young boys to the sport of lacrosse. Travel Team which plays 6 games and a Jamboree. Half Field format with 8 on 8 games. Non-Contact.